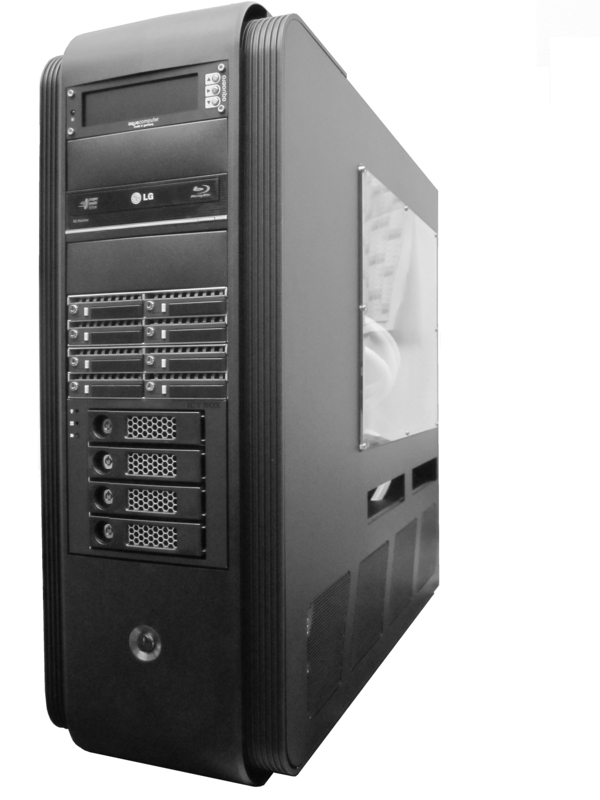 In cooperation with Miguel Clarke, CEO of Silicon Philosophies, we proudly present a new custom built Mammoth Edition 2011 for their professional, “Fastest! … Best Quality! … Most Stable! … User-friendly!” Cinema Craft. HD Encoder. We were able to achieve 30% performance increase (30% less time to encode videos)compared to their latest specialized system configuration! About the Cinema Craft. HD Encoder: It is by far the fastest and most accurate MVC encoder available for 3D Blu-Ray Discs, it is utilized by companies in Asia, United and Europe to realize their most critical and important projects. You can see the our system at the IBC 2011 in Amsterdam. Please feel free to join Silicon Philosophies (Hall 7, Booth G15a) along with Rimage and Greenpost to celebrate the 1st anniversary of the CINEMA CRAFT® Multi View Coding application (CC-3De)! See your wildest fantasies come alive with CINEMA CRAFT® 3De. You like it? Press the “like” button on our facebook-page! Custom built MammothEdition 2011 for Silicon Philosophies Cinema Craft. HD Encoder.